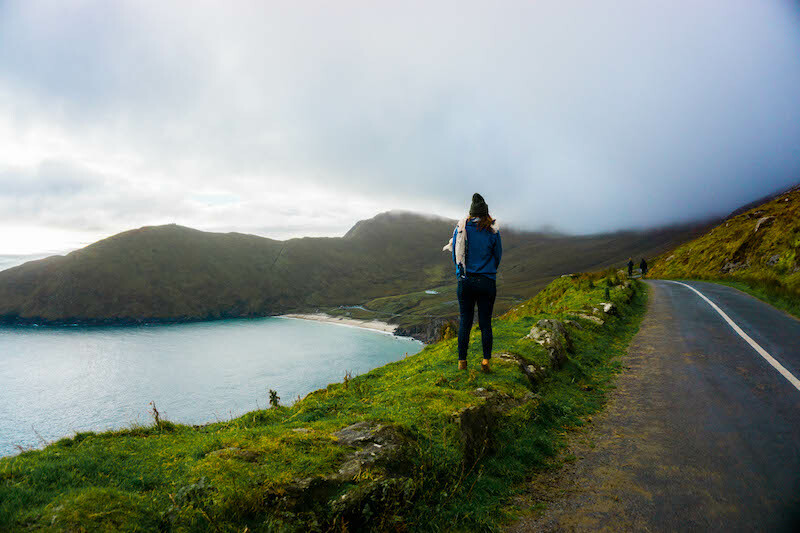 If you’re looking for the most stunning places on the Emerald Isle, there’s no better place for an Ireland road trip than exploring all the beautiful places and things to do in Mayo. 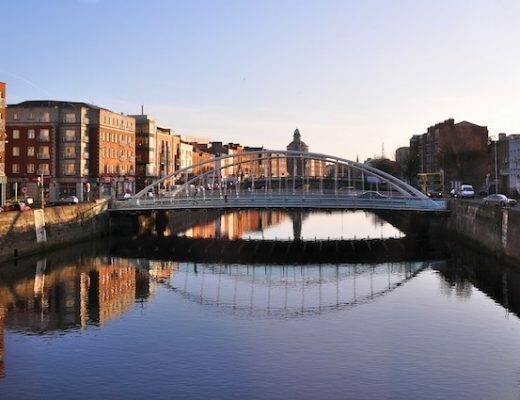 This county is home to some of the most stunning landscapes, delicious food, and off the beaten path gems in Ireland. This road trip itinerary will take you through all the best things to do in Mayo, Ireland’s most photogenic and striking county, which can be done in a minimum of three or four days. Of course, the longer you have, the more leisurely you’ll be able to travel as a result. While a road trip is definitely the easiest way to explore the best of County Mayo, alternately, you can explore Ireland by train. The country is quite well-connected, though you’ll be limited to larger cities and it can be a bit harder to see the smaller towns. And with views as epic as you’ll see all over the Wild Atlantic Way, it’s well worth the extra time spent visiting these gems along the coastline by your own car! Westport may very well be one of the most photogenic towns in all of Ireland, which is saying something — Ireland is a beautiful place. 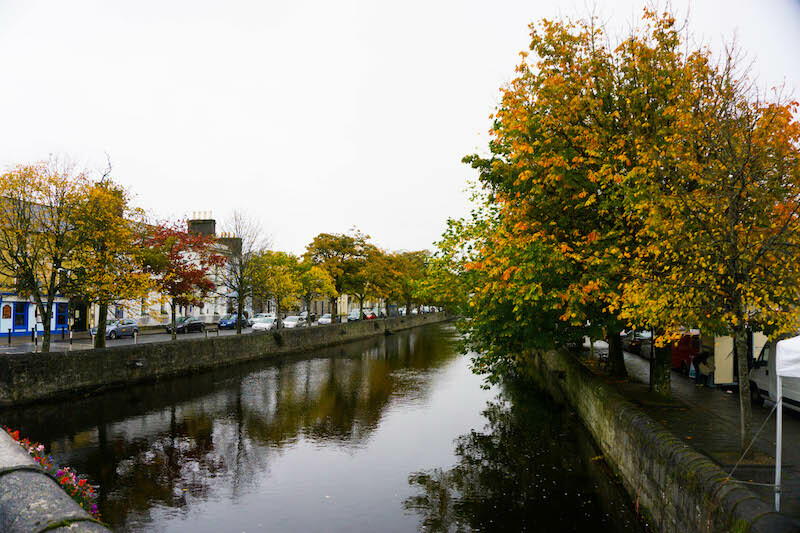 I particularly loved the canal going through the center of Westport, especially beautiful in the fall as the leaves change color and the brightly colored flowers on the bridges add pops of color everywhere. It’s one of the cutest places in Ireland! 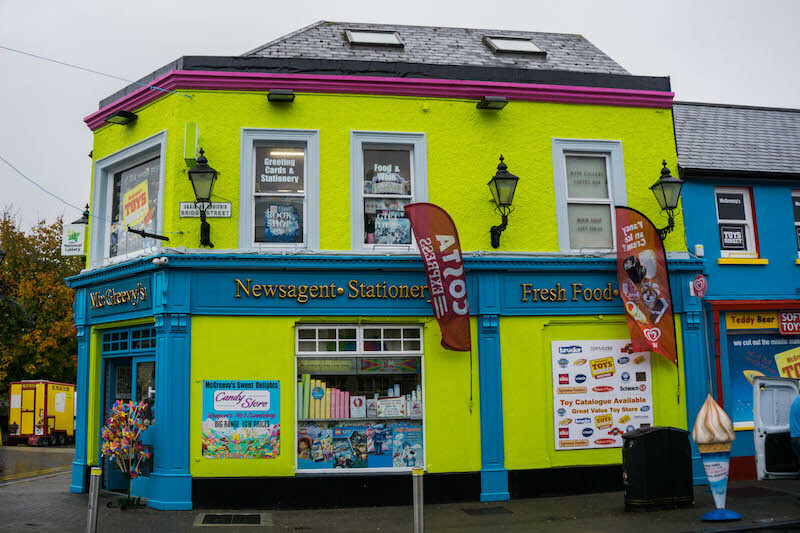 The houses are painted in a variety of fun, vibrant colors, and there are tons of great shops and bars, including one of Ireland’s most famous bars — Matt Molloy’s. 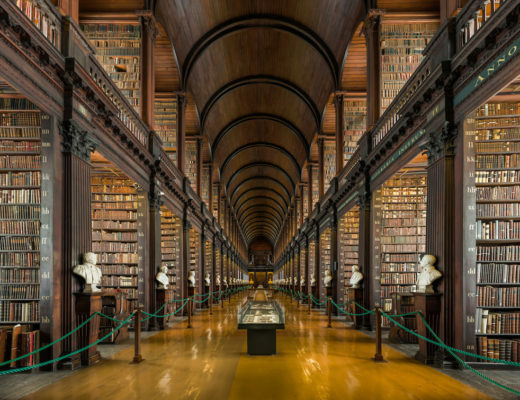 While many people don’t think of Ireland when they think of pirates, they’re mistaken. Grace O’Malley, the most famous female pirate of the 16th century, was actually born and raised right here in County Mayo. 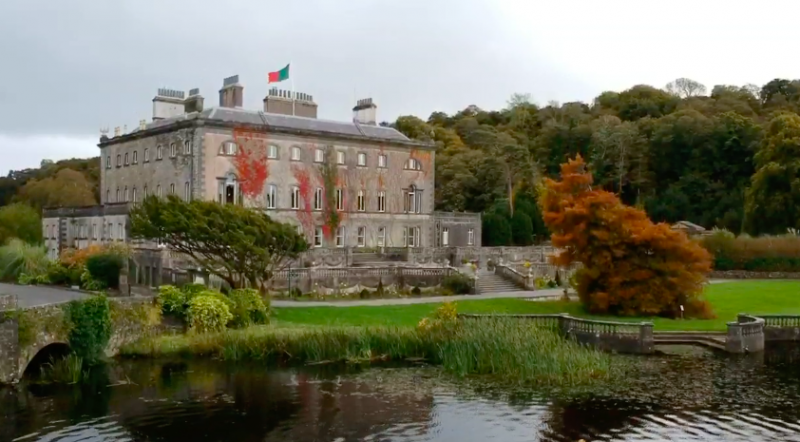 The Westport House is owned by direct descendants of Grace O’Malley. It’s now a historic house open for guided tours, from the grounds to the ornately decorated rooms to even the dungeons! 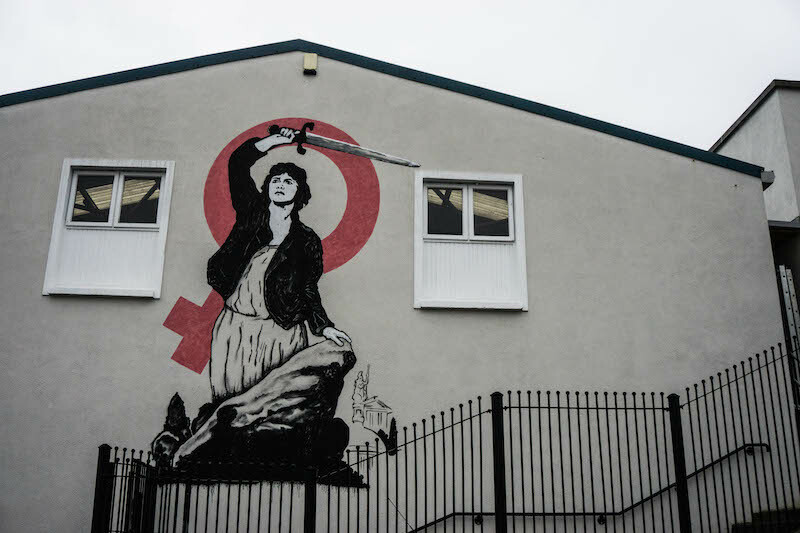 The residents of Westport love their Grace O’Malley history so much that there’s even some street art dedicated to her in the town center! The 42-kilometer trail can be biked in a day or in bits and pieces as you choose. The Greenway starts in Westport, passes through Newport and Mulranney, before going onto Achill Island. The trail is rather hilly in parts, so for the less fit amongst us (read: me) I highly recommend renting an electric bike. An electric bike gives you a bit of extra oomph up the hills, but you’ll still have to put in some effort and power yourself. There are plenty of places to stop along the way for food or photographs. 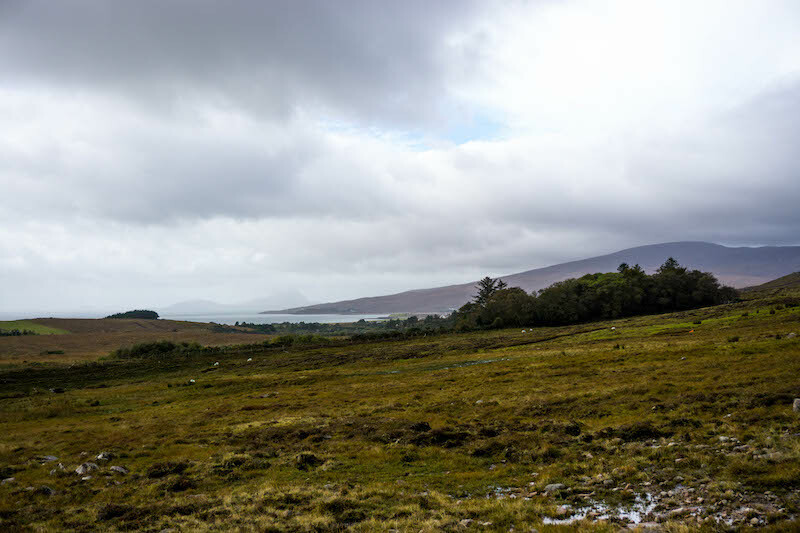 Trust me, the views as you approach Clew Bay are some of the most beautiful in all of Ireland, so you’ll want to make sure you come with your camera battery fully charged. If you’re wondering about the logistics of renting a bicycle if you have a car, Clew Bay Bike Hire offers pickups and shuttle service, so if you only want to bike one way, it’s totally doable! This is great for people like me who loathe the idea of doubling back. If only every hike offered this service! I recommend stopping in Mulranny where you can try food from the Gourmet Greenway, an association of local farmers, fishers, and butchers based along the Greenway. 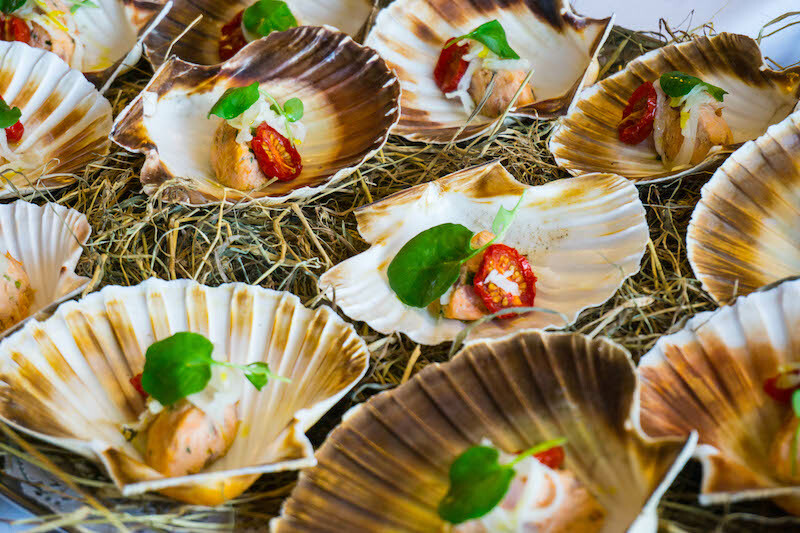 The Nephin Restaurant at Mulranny Park Hotel puts together delicious food from these local merchants. I was drooling over the wild Atlantic smoked salmon — simply delicious. When thinking of the beauty of Ireland, you most likely think of all sorts of shades of green and the deep blue of the sea. 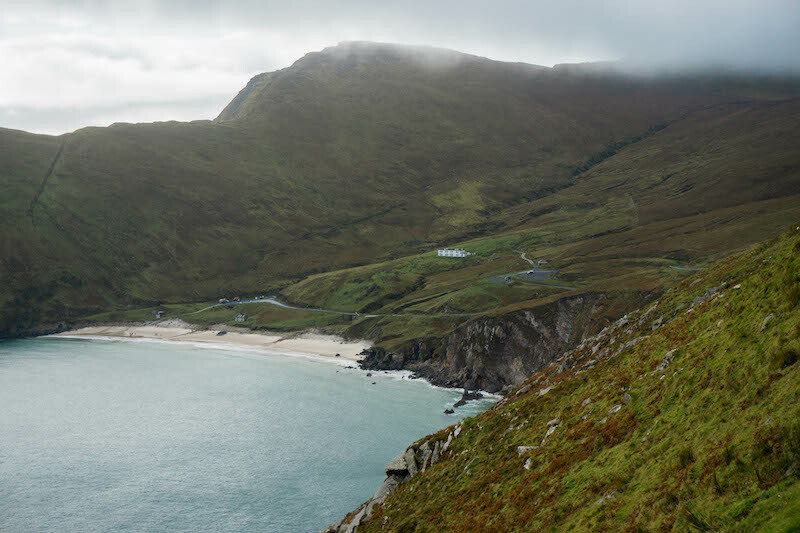 You’ll see beautiful spots all over your Ireland road trip, but Achill Island is different. There is, in my opinion, no more beautiful place in Ireland that I’ve seen than Achill Island. Sheer cliffs drop a massive 688 meters (2,257 ft) into the sea, the tallest in all of Ireland and the UK — and without the crowds of the cliffs of Moher. Besides the highest cliffs in Ireland, there are also historical sites, cute pubs, tranquil lakes, cozy inns, and so much more. But the real gem of Achill Island is the stunning Keem Bay. Located on the western side of Achill Island, Keem Bay is one of the best examples of Ireland’s beauty and is a designated Blue Flag Beach. If you visit on a sunny day (which is basically akin to winning the lottery in Ireland), the water is almost a Caribbean shade of blue. But even on a cloudy day, there’s no denying the gorgeous color of the water and stunning cliff landscape. 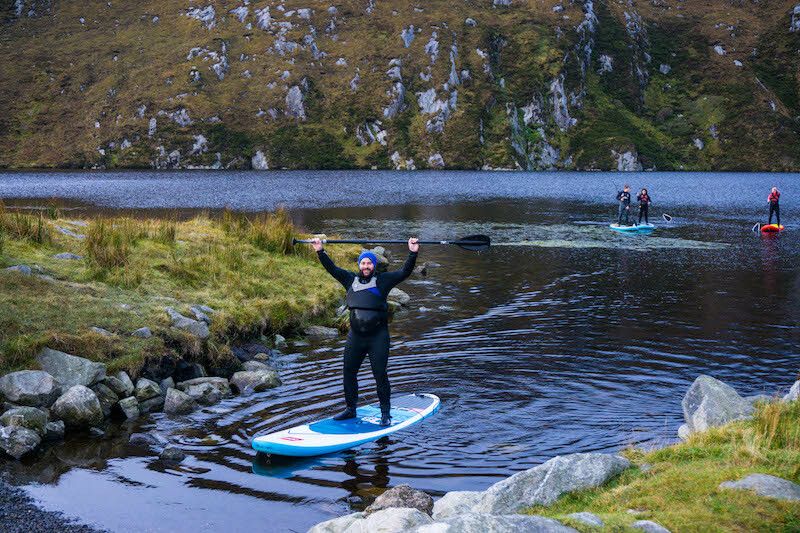 If you want a side of adventure along with your visit to Achill Island, you’re in luck. French expat Francois has opened up Pure Magic, a kitesurfing school, cozy inn, and delicious restaurant all in one. If kitesurfing is a bit too much adrenaline for you, you can stand-up paddleboard. You’ll want to wear a wetsuit if you do as the water in Ireland is around 50 degrees F/10 C year round! 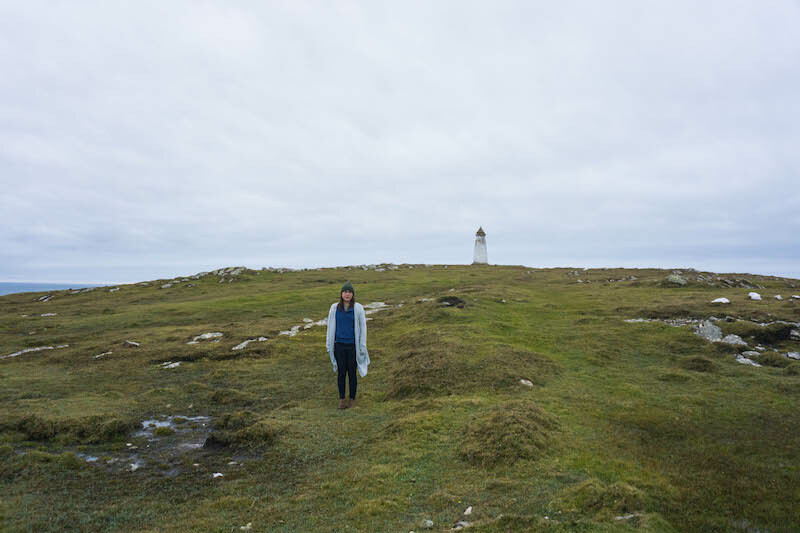 The Inishkea Islands are a beautiful but slightly haunting set of two islands about an hour’s boat ride away from Belmullet. Surrounded on all sides by white sand, low lying grass spreads across the entirety of these islands, which are dotted with the remnants of stone structures. No one lives there anymore, save for a few coy donkeys and sheep. Sadly, a tragic fishing accident in 1927 killed 10 young men – a huge number given the small population of these islands. Shortly thereafter, the inhabits of Inishkea North and South left for the mainland. There is a small graveyard where you can pay your respects to the lives lost. 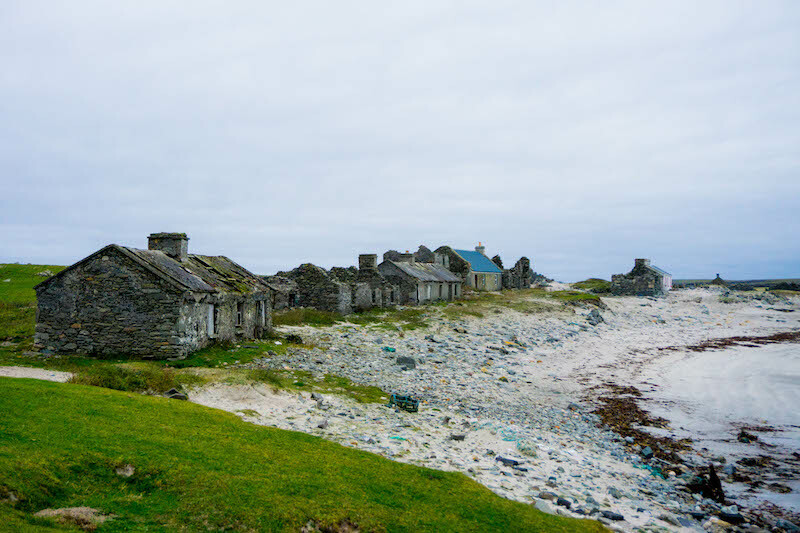 There isn’t a whole lot to do on the Inishkea Islands, but it’s magical nonetheless. You can hike around, photograph the abandoned villages, marvel at the water, and even discover a hidden lighthouse. It’ll only take you about two hours to get a sense of the Inishkeas, but it’s absolutely worth the trouble. There are no public boats or ferries, so you’ll have to charter a boat: we went with Geraghty Charters and it was a wonderful experience. For all the sadness of what happened here on Inishkea to make it so quiet and peaceful today, there’s no denying the views are beautiful. On a calm day, the turquoise sea’s crystal clear water offers views straight to the ocean bottom. You can see why, despite the isolation, people have been calling the islands of the Inishkeas home for over 5,000 years. It’s odd, but I swear it’s true: pretty much every other American you will meet (including yours truly) lays claim to some Irish roots. The Ionad Deirbhile Heritage Center works tirelessly to preserve the heritage of Mayo County and its history. 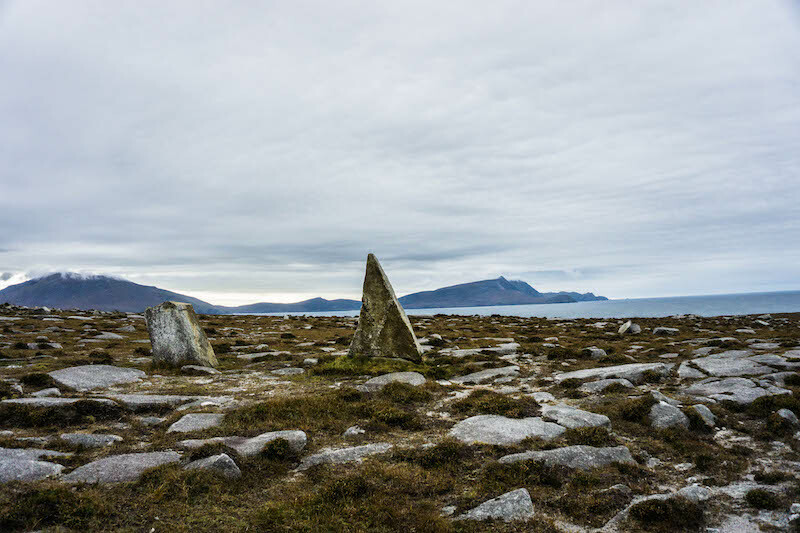 Here, the Blacksod Bay Assisted Emigration project works to connect people with their Irish roots, with records of over 3,000 Irish emigrants. 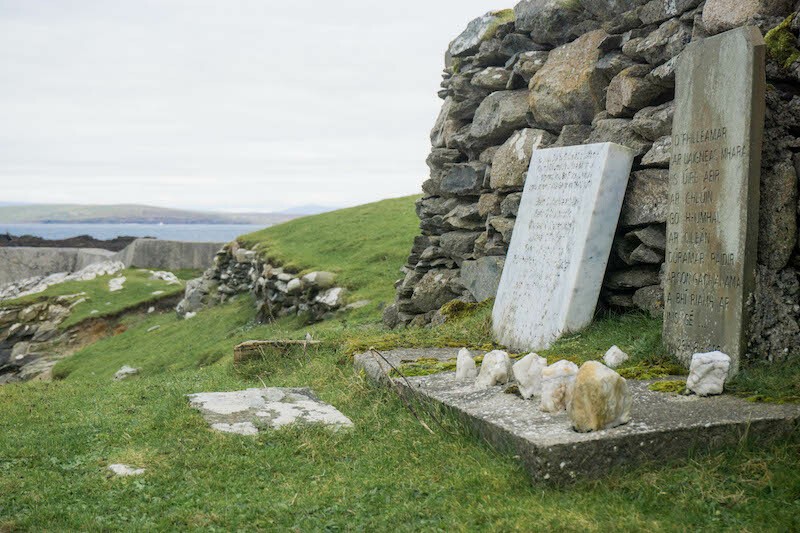 Also at the Heritage Center, you can see photographs of daily life, documents preserving the history of the region around Blacksod Bay, and talk to the lovely staff who will share with you anything you want to know about this area – from wildlife to history to tradition. The North Mayo Sculpture Trail is the largest public art installation in all of Ireland and one of the largest in all of Europe. The focus on the sculpture trail has been blending together the landscape and nature with more contemporary art. This means that walking through dunes and fields, art will seem to rise out of the ground, flowing seamlessly with the land around it. Over the years, more sculptures have been added, making it a living art installation that is ever-changing. Road signs and plaques with information about each piece dot the landscape. 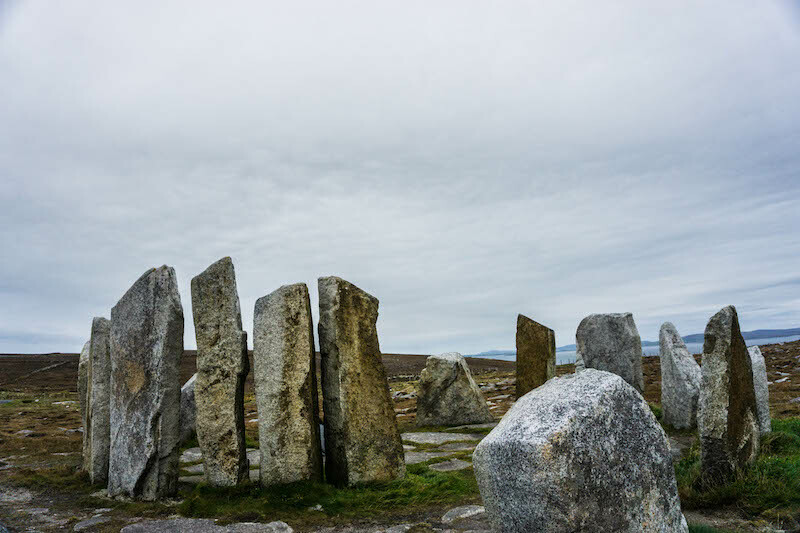 We didn’t explore the whole sculpture trail, but we made a quick stop at Deirbhiles Twist, a mini-Stonehenge of sorts that elicits a bit of a supernatural vibe due to its location on the isolated Belmullet peninsula. 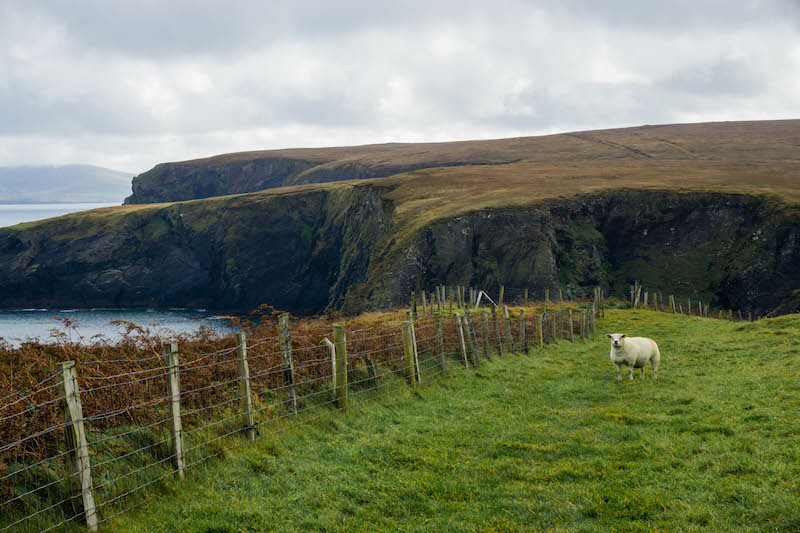 Journey through several different fields, past sheep and stunning sea views, while climbing the beautiful yet super steep cliffs of Erris Head. The plateau at the top of the cliffs offers a completely unobstructed view of the Atlantic Ocean and of the surrounding cliffs — Cliffs of Moher, eat your heart out! Looking out across the ocean, you almost feel like you can see to the other side of the ocean, putting the migration of so many Irish to the Americas into perspective. Be sure to wear proper waterproof shoes, as I very nearly got sucked into a bog doing this hike! But it’s so worth it. The braver amongst us (read: not me!) can even go “coasteering,” which is a combination of cliff jumping, scrabbling, climbing, and letting the ocean sweep you around. It’s not my kind of adventure, but for the adrenaline junkies amongst us, you can’t miss it. My friends went with Wavesweeper and loved every minute of the experience! Comprised mostly of bogs, the park also boasts rivers, viewpoints to the nearby Achill Island, and a number of endangered habitats. It is one of the largest peat bogs still in existence and teams with various rare wildlife. Bogs are depleting rapidly, as some Irish still use the peat as an energy source. However, the peat from these bogs have taken over 10,000 years to be the way it is today, and therefore it’s not a very sustainable solution. 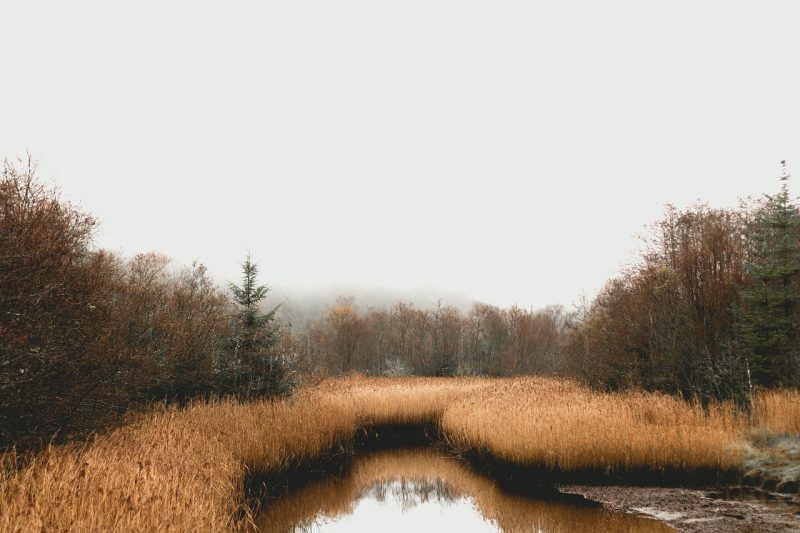 To preserve the bog for future generations, you’ll find a boardwalk you can walk across to protect the fragile ecosystem below it. The different habitats within almost guarantee that you will see rare flora you can’t find anywhere else. No Ireland road trip is complete without a trip to a castle, and Ashford Castle is one of the most interesting castles in all of Ireland. Converted to a hotel within the last century, the castle dates back to 1228 and has Anglo-Norman roots. Recently featured in the show Reign, the castle has been mostly preserved as it would have been in the 15th century, offering visitors a once in a lifetime experience. 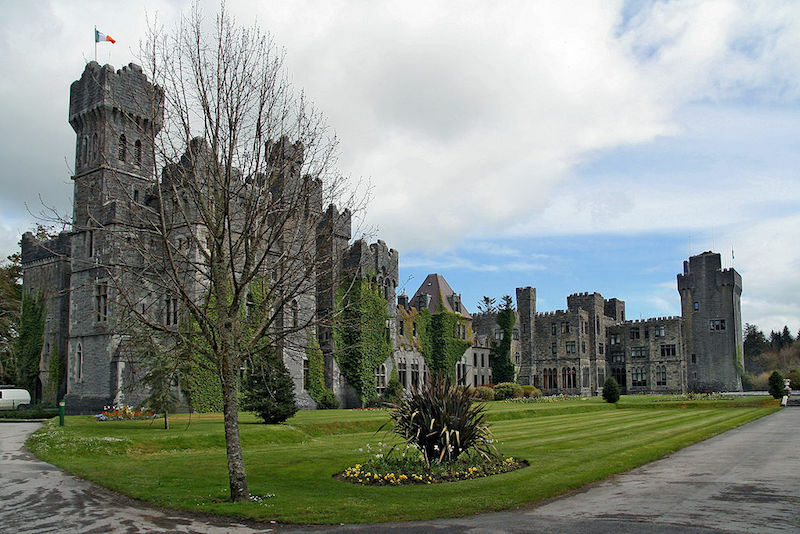 If you’re looking to live out your castle fantasies, Ashford has got you — hotel rooms are available for a hefty price tag, but the castle’s accompanying lodge is actually surprisingly affordable (check out rates here – you’ll be surprised!) — or you can visit for a price more suitable for peasants like you and me (a mere 5 euro). Westport: I didn’t get the chance to stay in the beautiful, sunny yellow Wyatt Hotel, but it would be my top pick for my return to Mayo. Right in the heart of Westport’s colorful and historic center, the Wyatt Hotel is a fantastic place for a drink (I had a few rounds there on my night in Westport!) With nearly perfect ratings on Booking.com and the best location in Westport at affordable prices, it’s a no-brainer for your time in Westport. Check reviews & availability here. 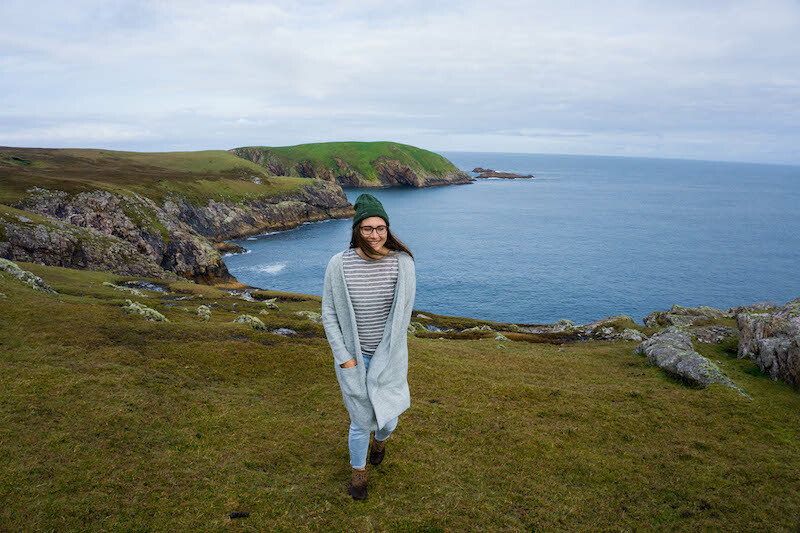 Achill Island: Achill Island was one of the true highlights of my trip to Mayo – the landscape was, well, Pure Magic – which happens to be the name of the extremely cozy guesthouse and small restaurant that I stayed at on my night in Achill Island. 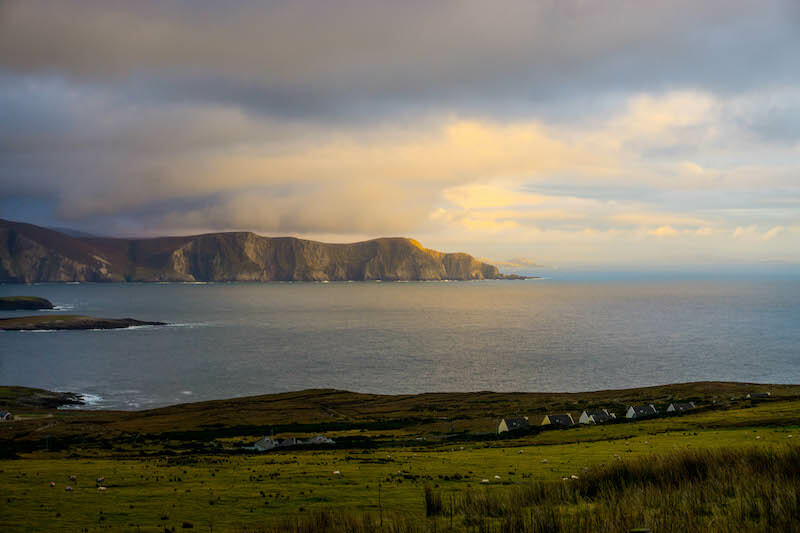 A short drive from beautiful places like the massive sea cliffs and the pristine, nearly Caribbean-blue waters of Keem Bay, Pure Magic is a no-frills, affordable option for visitors to Achill. The food at the in-house restaurant is fantastic as well, especially the fish and chips! Check reviews & availability here. Belmullet: This quiet part of Mayo is one of the most remote areas of the country and is a place for people who truly want to get off the beaten path in County Mayo. With chic and luxe interiors and spacious rooms, Broadhaven Bay Hotel is a lovely option in Belmullet just a five minute walk from the center of town. But perhaps the best thing about it is that it has a heated indoor pool, sauna, and steam room! Great for warming off after day out in Ireland’s typically rainy climate. Check reviews & availability here. 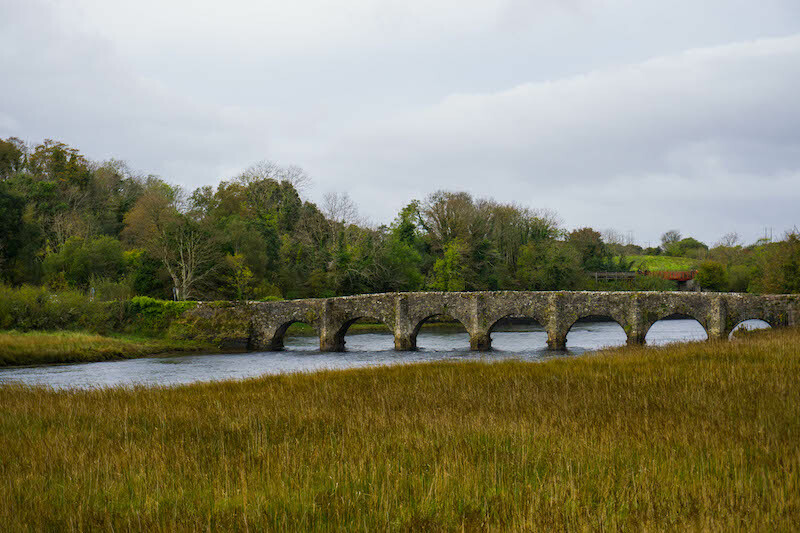 Ballina: One of my favorite hotels I’ve ever stayed in (yes, ever – and as a blogger who’s traveled to over 70 countries, that’s quite a lot!) was The Ice House in Ballina. It’s extremely unique – one half of the hotel is modern and new, and the other half of the hotel is more rustic and vintage, some rooms even with a copper bathtub! The entire hotel overlooks a beautiful river, and there are outdoor hot tubs as well as a lovely Finnish-style sauna that is perfect to unwind in after a long day. 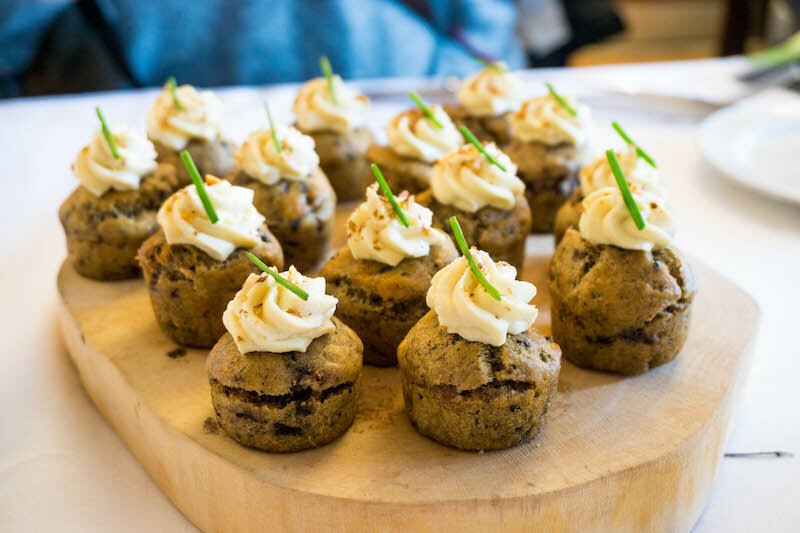 The food at the Ice House is also utterly fantastic, so it’s a great (albeit slightly more luxurious) option in County Mayo. It’s a tiny bit outside the city center, but if you have a car, it’s not a big deal at all. It’s one of my favorite places I’ve ever stayed, so if you can, I highly recommend The Ice House, especially as it’s part of Ireland Blue Book’s collection of top-tier properties in the country! Check reviews & availability here. 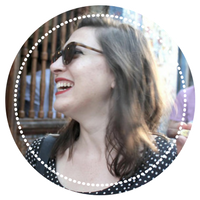 Allison is a full-time freelancer and travel blogger, exploring the world solo in pursuit of new and exciting adventures. She's happiest when climbing things, snuggling any animal who will let her, and eating improbably large amounts of food. Thanks for providing such a detailed perspective on a seldom- traveled spot of Ireland. My folks and I are planning a 3-night visit to the area but are having trouble picking out accommodation. Any advice for that? We’d prefer to base ourselves in one place but not sure if you’d recommend that as feasible. Hi Katie, thank you! That’s so great to hear that feedback. 3 nights is perfect! I’d pick either Westport, Achill, or Ballina. 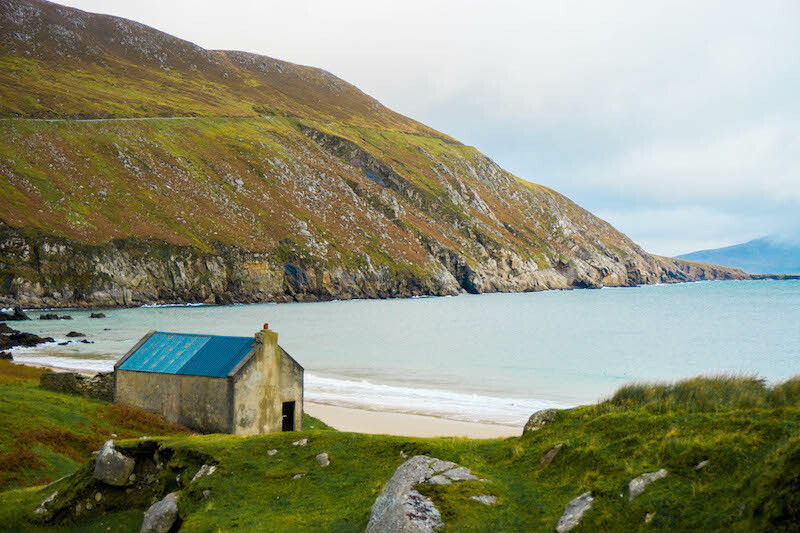 My favorite place I stayed was the Ice House in Ballina, however – so that would be my top choice 🙂 If you’re on a budget, Pure Magic on Achill Island is a great option. I believe I have them both linked above in the post 🙂 Have a fab trip!